Bullying is happening everywhere and it can happen to anyone. 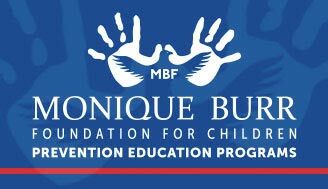 Learn more to help protect all children. 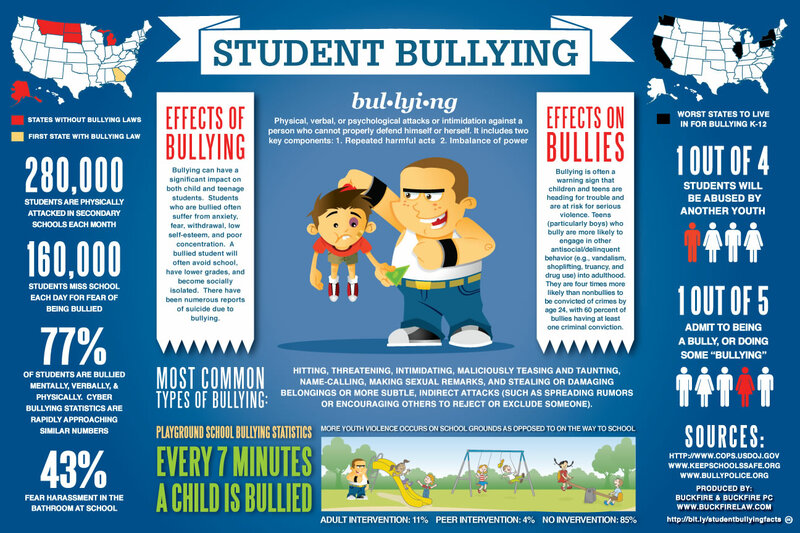 PACER’s National Bullying Prevention Center unites, engages, and educates communities to address and prevent bullying through creative, relevant and interactive digital resources for parents, schools, teens and youth. Teens Against Bullying is a site created by and for teens, where middle and high school students can ﬁnd ways to address bullying, take action, be heard, and join an important cause. A creative, innovative, and educational site designed by and for elementary school students to learn about bullying prevention, engage in activities, and be inspired to take action. 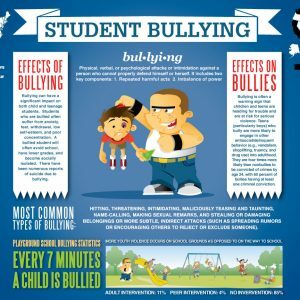 Stop Bullying provides information from various Government sites about bullying, what it is, and how to prevent and respond to bullying and cyberbullying. 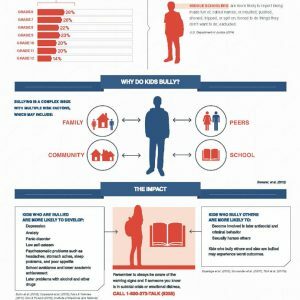 Solutions for Bullying provides a step-by-step guide with a wide variety of options to allow families to tailor their own solution to stop bullying. The site includes white papers, family contracts, reporting forms, and more.